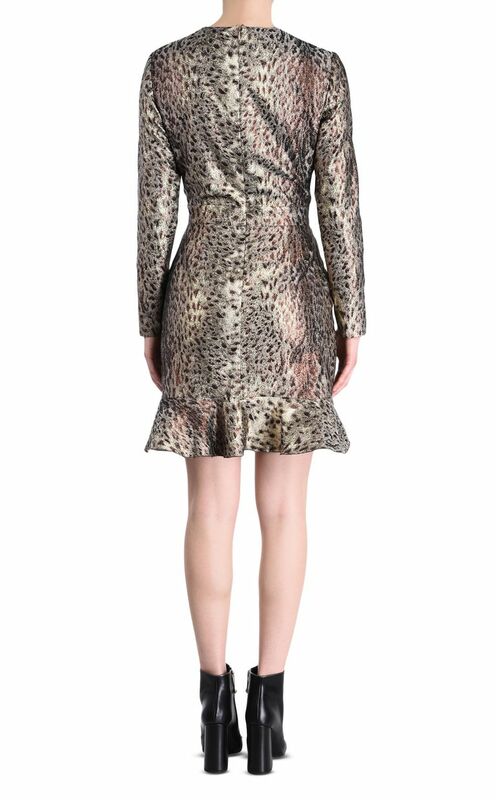 Animal-print mini dress with long sleeves. Featuring a V-neckline with adjustable lace-up ties and playful frills on the skirt. Regular fit.